Seldom do you get a chance to re-live your favourite film with none other than the maker of that film itself. 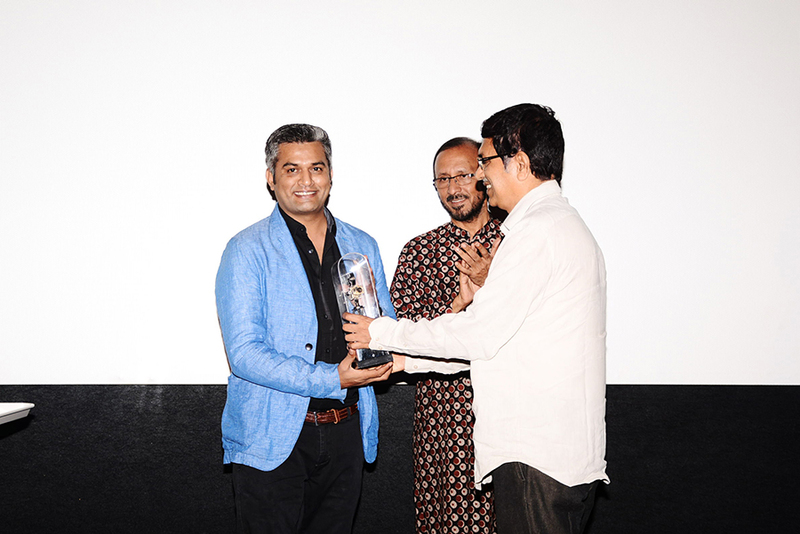 The 2015 Hindi film Masaan directed by Neeraj Ghaywan is one such film and I got the opportunity to watch this film with him at the opening of the film club of ESG (Entertainment Society of Goa), Cinephile on April 6, 2017. The ESG is the nodal agency for the organisation of the International Film Festival of India (IFFI), which is held in Goa in the month of November. Neeraj, who was brought up in Hyderabad, is a Marathi boy who felt immense sense of connection when he visited the holy city of Varanasi. He made multiple trips to this place, explored the narrow lanes of this city and shared a drink with the locals. He also stressed on the point that more than the place, his idea was to focus on the people—how they speak, dress, eat, all of this is shown well in his movie. Neeraj, who co-wrote the screenplay along with Varun Grover, also made a conscious choice of not making his characters caricatural. “When we speak about small towns we want to show them in a certain way and not like people from urban areas. Some people were shocked to see that our characters use facebook. We need to understand that lines between cities and small towns are blurring,” said Neeraj during the interaction. He also made one pertinent point that cinema is a representation of contemporary issues. Neeraj also narrated a sub-plot of the movie, which many were unaware of. It revolved around Deepak’s brother and his affair with French tourist. The brother eventually sells off their ancestral property and elopes with the tourist. The makers had to cut this part. Neeraj says it was taking the narrative of the movie to a different direction. The scene where Deepak throws Shaalu’s ring in the river is related to it. The initial narrative was about Deepak’s dilemma—should he sell off that ring to bring back their ancestral property or keep it as the last memory of Shaalu? He decides to throw the ring in the river. When asked what he learnt from this movie-making experience, he narrated an incident that he experienced during the last scene of the movie, a scene that involved a boat ride. After the shoot, when Neeraj was taking a boat ride back, he realised that characters like Devi, Deepak, Shaalu, and Pathak may be existing somewhere in Varanasi and through this movie he has lived these characters. It has been a most satisfying experience—an experience which no other job can provide. The interaction with Neeraj was not over yet. The ESG organised a special “Meet The Director” program with Neeraj anchored by film critic and curator or Cinephile, Sachin Chatte, next day on April 8 at ESG itself. The interaction was aimed at exploring more about the work of Neeraj as a filmmaker. They screened two of his short-films and two commercials which he had recently directed. The Vicks commercial advertisement which he had recently made spoke about a beautiful relationship between a mother and her adopted daughter. The mother here is a transgender. It has already received more than 12 million views on social media. Neeraj reveals that after watching this commercial many people told him that it helped them change their pre-conceived notion about transgenders. For him this was great news. He also stated that his main idea was to give voice to the voiceless, underprivileged, and to show humane side. 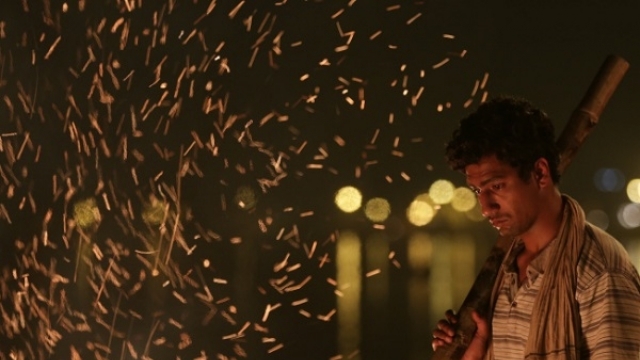 It is evident that Masaan speaks about the Dom community of Varanasi (they are considered outcastes and mostly engage in cremation of dead bodies at the ghats). His short films, Shor and The Epiphany reflect the core theme which is common in all his works. His narrative is mainly based on love, loss, and death or the near-death experience. When asked about it, he expressed that when someone comes across death or a near-death situation (as it is shown in his short films), the real side of an individual comes out. It is sans ego and arrogance. However, he further narrated a personal experience of seeing his grandmother dying in his arms. “I have experienced death quite closely. My grandmother was schizophrenic and I was quite attached to her. I used spend a lot of time with her, even when my parents had lost all hopes. I had a feeling that she will be fine. But, it didn’t help and one fine day she died in my arms,” expressed Neeraj. Neeraj made these two short-films when he was assisting filmmaker Anurag Kashyap for Gangs of Wasseypur. He also shared that he considers Anurag his mentor and it is because of him that he entered the world of filmmaking. Neeraj narrated quite a long journey of an engineer turned filmmaker. He, like any other middle-class boy, thought of doing an MBA after his finishing his engineering. It was while studying MBA that he came across FTII Professor Samar Nakhate, who delivered a lecture on movie production. He was the only student who was interested in the lecture and was drawn towards this subject. He always showed his interest in audio-visuals as he did many videos in his student days and also “art-house videos” for corporates when he was part of corporate life. He also started writing for the (now defunct) blog ‘passion for cinema'. Many filmmakers like Anurag Kashyap, Dibakar Banerjee were also a part of this blog. Neeraj used to write movie reviews for this blog. He then became one of the editors of the site and it was here that he came across Anurag. “My exposure to cinema was watching parallel Indian cinema by Shyam Benegal, Satyajit Ray on Doordarshan. It was not because I was interested in them but my sisters and all used to watch them”, says Neeraj, further adding that his ideal movie watching experience was watching Fight Club with a glass of beer. But, that changed after writing for a blog and personally meeting filmmakers like Anurag and Vishal Bhardwaj. At a meeting that included all the blog editors at Anurag’s home in Mumbai he cooked a meal for them. At that time Neeraj met Vishal Bharadwaj who praised him for his review on his movie, Kaminey. Neeraj describes it as a magical night to share a space with so many talented filmmakers. Their conversation lasted till 6 in the morning. But, then he realized that he has to go back to his corporate life. But, after that day, he realized that he has to go to Mumbai and start working in film-related jobs. He then moved to Mumbai and joined a start-up which was in the business of promoting Bollywood stars and their websites. This job was a far cry from his dream job of filmmaking. He felt frustrated and had no clear idea about what to do next. But, one call from Anurag changed the course of his life. Anurag, during his interaction with Neeraj, sensed that everything was not ok with him. He then asked Neeraj to assist him on Gangs of Wasseypur. For Neeraj, Gangs of Wasseypur was a whole new learning experience. It was a physically and mentally tiring venture and at the end of the month he was paid Rs 14,000, which was 1/8th of his corporate salary. This made him understand the ground reality. But, he totally devoted himself to cinema. He not only worked in almost all the departments of this movie but also in post-production. Amidst all this, he even made the short-film Shor which was part of the Shorts movie. When Anurag watched this film he hugged Neeraj for five minutes. And as they say the rest is history. Neeraj then made Masaan. In the concluding part, when asked about his next venture, he expressed that he is quite blank and is not thinking about it right now.